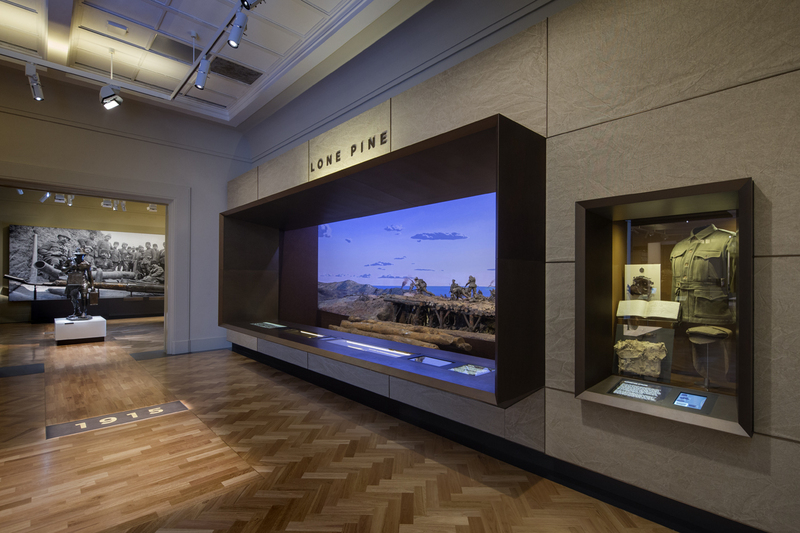 The renewed First World War Galleries of the Australian War Memorial in Canberra opened to the public in December 2014, with a new lighting design by Benjamin Cisterne that makes extensive use of customized LED lighting fixtures from Gantom Lighting & Controls (formerly Darklight: Precision Lighting System) to illuminate both the historic dioramas and the display cases. 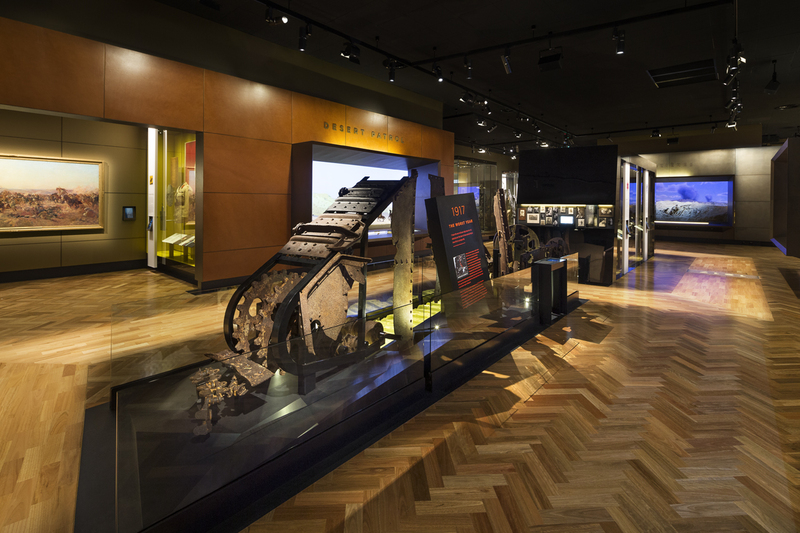 “The Australian War Memorial (AWM) is one of the most visited places in the country,” said Cisterne, whose company Benjamin Cisterne Design was subcontracted to exhibition designer Cunningham Martyn Design (CMD). “The First World War Galleries had not had much done to them since the 1970s and were in need of a revamp.” Australia in the Great War, in the Galleries, is said to be one of the most significant First World War exhibitions in the world, drawing on the Memorial’s unique collection of First World War artifacts, technology, uniforms, medals, photographs, film, and personal items such as letters and diaries. For the display cases, Cisterne sought an alternative to traditional tungsten lighting. He approached Barbizon Lighting to help him identify LED options that were compact, state-of-the-art, powerful, and could be mounted in a variety of ways. “After reviewing several manufacturers we elected to go with Gantom as they had a more complete and finished offering of products that were plug-and-play and had excellent optical properties,” said Paul Lewis, system sales, Barbizon Australia Pty Ltd. The new diorama lighting uses 120 Gantom DMX Dynamic White Flood and 120 Gantom DMX RGBW Flood fixtures. The display cases use over 1000 Gantom Precision Z Spot and Flood fixtures ranging from 3000K to 4000K with custom glass-top mounts designed to conceal the fixtures. Roughly half the lighting fixtures on the project were manufactured by Gantom, and all of the Gantom units were installed by Cisterne’s team. ODG and BUILT were the main contractors for the electrical install. “Using DMX native fixtures made this a complete and versatile system, and made integration a breeze,” said Cisterne. Gantom’s Precision Z fixtures afforded Cisterne the flexibility he sought for the display cases. “They made it possible to give each displayed item an individual focus that best defines its shape, colors and place in the story,” he said. 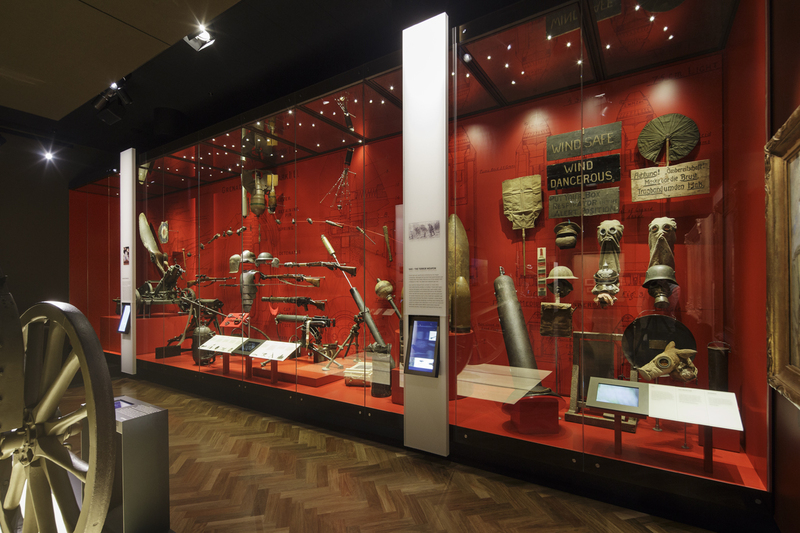 “The cases range in size as do the objects on display, and the types of material range from metal to paper to fabric prints and wooden artifact.” The compactness of the fixtures provided an additional benefit of saving space. Said Cisterne, “I needed to mount the Precision Z fixtures above glass in a way that I used to do with older MR16 fixtures. I drew up a new mount for the Precision range, and Barbizon and Gantom had it prototyped and eventually built for the project. This is the kind of interaction we desire, as designers collaborating with suppliers and manufacturers.” The new custom glass top display case mount is now part of Gantom’s standard product line. Barbizon developed and manufactured locally a cowling for the new mount, as well as a rail clip for mounting the fixtures to a rail system. These collaborations resulted in specifications and prototypes for custom plug-and-play cabling and mounting accessories that were then manufactured by Gantom. “We turned the Gantom range of fixtures into a full-fledged museum and gallery lighting system,” said Lewis. Gantom Lighting & Controls, formerly Darklight Precision Lighting System, is a California-based manufacturer of compact lighting fixtures and control equipment. Specializing in low-light and space constrained environments, Gantom’s products are used where traditional lighting equipment are not suitable. The new company name, Gantom, combines the last name of president and co-founder Quan Gan with the word “phantom,” retaining the essence of the company’s origins in the haunted attractions business. “Seeing that we are now being pulled towards multiple industries, we thought it was best to rebrand the company to encompass a wider scope that will allow us to grow,” said Gan. Gantom is a member of PLASA, USITT, TEA, IAAPA and HAA. Visit www.gantom.com.